First lady,Aisha Buhari, is showing gratitude to Nigerians for their prayers towards the quick recovery of her son, Yusuf who was involved in a bike motorbike accident at the end of last year, 2017.In her message, the first lady also thanked the team of medical doctors and nurses that are keeping him in a stable condition. Chidinma Clement, the female motorcycle mechanic whose images went viral in December has opened up to LFBONLINE on why she chose the male dominated profession. Yeah well, even the gods like what’s good, don’t they? These adorable photos of a Nigerian masquerade with his lovely boo, is currently melting hearts online and we’re sure you’re going “awwwn” right about after seeing the photos, init? 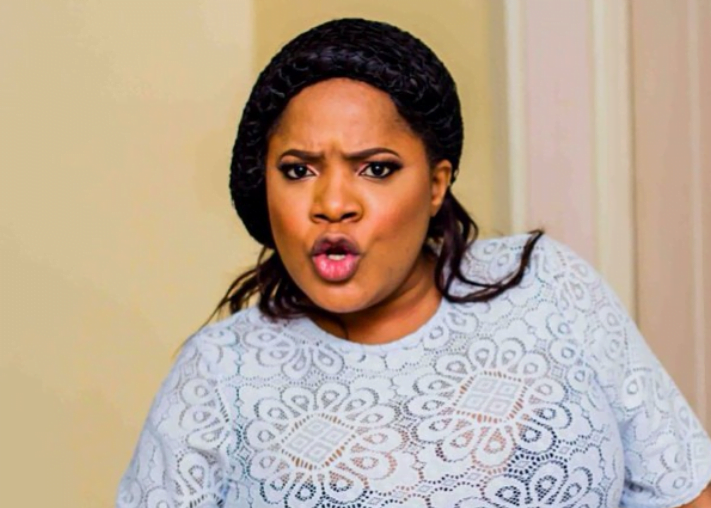 A lady identified as Cynthia Onyinye Okafor has been blessed with an unexpected birthday Gift from random online users. Okay ladies and gentlemen, it looks like the Nigerian police force is about to be filled with some beautiful beings as over the past few months, we’ve been blessed with gorgeous photos of female police officers who have joined the force. You remember Abdulazeez Fatima yeah ? The beautiful Hausa police officer whose portrait had IG users go gaga over it yeah? In yet another episode of social media funk, with this being the most controversial one we’ve all six days of this new year, a Ghanaian lady on Facebook has bragged about her sexual encounter with a guy and it’s explicit! 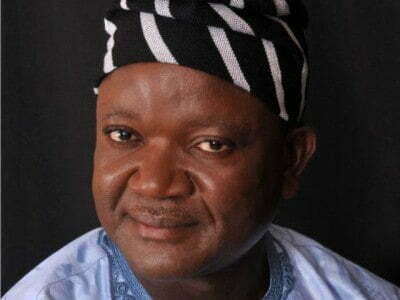 Eleven people have been killed in a fresh attack by herdsmen in the early hours of Saturday in the troubled Logo government area of Benue State. Governor Udom Emmanuel of Akwa Ibom State has sacked the state commissioner for Local Government and Chieftaincy Affairs, Mr. Udo Ekpenyong. Borno State government has donated 24 Toyota Hilux vehicles to the Nigeria Army and vigilante group in other to strengthen the fight against insurgency other criminal elements in the state and beyond. The corpse of a teenager has been found floating on Osun river in Oshogbo, Osun State capital. The corpse was discovered by some teenagers in the area who reported the incident to the state command of the Nigerian Security and Civil Defence Corps, NSCDC. You know when best friends throw shades at each other. It is only meant for fun and no pun intended. Nigerian actor Alex Ekubo, who is obviously more attached to 2 guys: Yomi Black and IK Ogbonna, threw some dark shades at Yomi Black, whom he claims is so dark that he alone possesses the blackness of 6 people. When 11-year-old housemaid, Precious Nwafor, was discovered locked up in a house by her boss who traveled to her village for the Christmas holidays, a lot of quarters got infuriated about the story and this reignited the discourse on the increasing abuse of children in the state. Controversial OAP Daddy Freeze is at it once again with one of his eye-opening messages for his followers and the entire people of Nigeria, Africa and the world beyond. He although makes some real sense in some of his posts, as everyone is entitled to their own opinion. But Freeze has only succeeded in making enemies for himself in different quarters, especially from the Christendom. The photo was shared on the monarch's official IG page. Nearly 40 football supporters from Oman were injured on Friday evening after a glass barrier broke during celebrations following the country's Gulf Cup win over the United Arab Emirates. The incident occurred at the Jaber International Stadium after Oman claimed the title for the second time in the nation's history with a 5-4 penalty shoot-out win following a scoreless 120 minutes play. According to Facebook user Chukwudi Iwuchikwu, 'Peter Aboh was a final year student of Micro Biology at the Federal University, Lafia in Nasarawa State. He was due to graduate in 8 months. Before Fulani herdsmen gruesomely murdered him in his home in Utonkon in Ado LGA'. While Nigerians were welcoming the New Year on January 1st 2018, yet-to-be identified gunmen at about 12.20am, stormed Omoku community in Rivers state and began to shoot sporadically, killing 20 persons. Till today, no one knows the motive behind the attack. 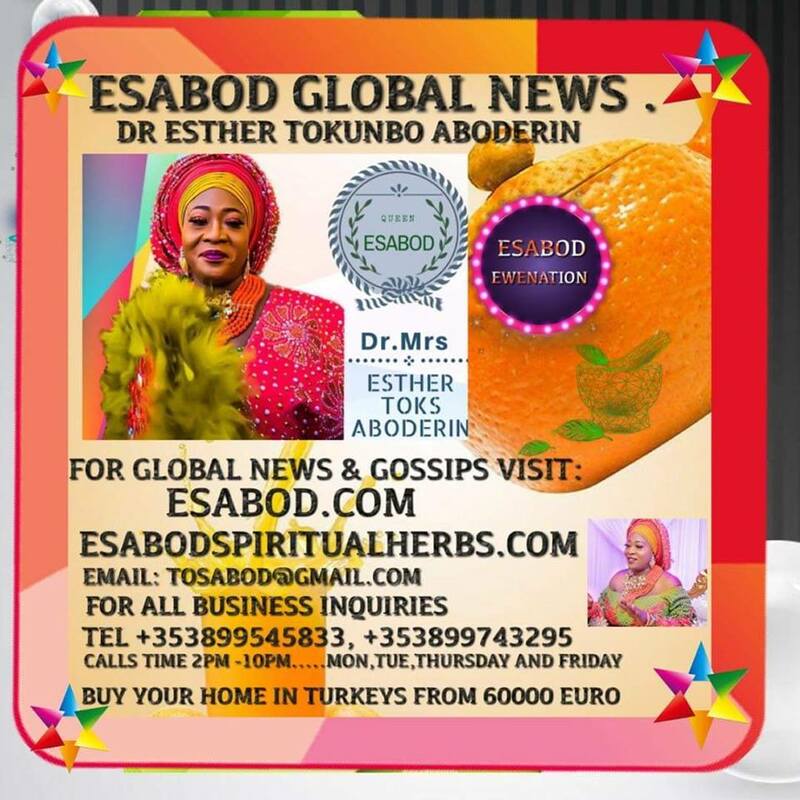 One of those left to morun the dead victims is Prophetess Comfort Ordu pictured left, who lost her husband, 51 year old Austin Ordu, an engineer, and her two children, Wisom, 15 and Precious, 14, in the attack. The traditional wedding of Babajide Ayotola Akeredolu, son of Ondo state governor, Rotimi Akeredolu, to his fiancee, Mary Oghenetega, is currently taking place at the Landmark Events Centre, Oniru, Lagos state. 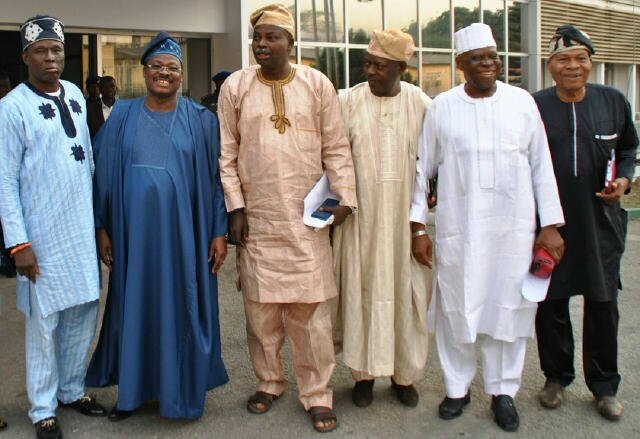 In attendance are Vice President Yemi Osinbajo, APC National leader Bola Tinubu, Governor Ibikunle Amosun. Governor Abubakar Atiku Bagudu of Kebbi state , Governor Nasir El-Rufai and many others. Man Impregnates His Mother-in-law In Nassarawa State. A 45-year-old farmer and carpenter identified as John Ulaha, has reportedly impregnated his mother-in-law and putting his wife, Victoria, in a fix. So Nigerian singer, Adekunle Silver excuse me, Gold, Adekunle Gold, is on the verge of facing a lawsuit after he wrongly used the chemical symbol for Gold, Au.Sharing photos of himself on his Twitter page, Gold captioned it “Mood for life. AG” – well, a tweep was quick to comment that he wrongly used the Chemical symbol for element, gold… you know.. since he has ‘gold’ in his name and blah blah blah and stated he probably ‘skip‘ his chemistry classes. Popular Europe based Nigerian blogger, Tokunbo Esther Aboderin ' the Ceo of Esabod herbs and roots club and esabod global news,finally settled the feud between Folashade Olatunji Ceo Eloqueza virgin hair Uk and Dorcas Adeyinka Ceo LpdCouture Uk ladypolodee yestarday 5th of January 2018. 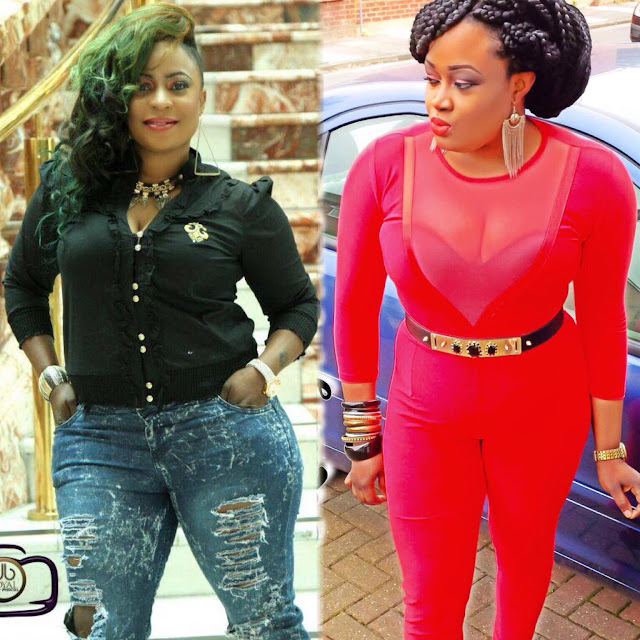 Red Dress Saga: Mercy Aigbe’s Stylist “Styledbyseun” Takes Responsibility For The Mistake. For some days now, there’s been a drama on social media about an aggrieved bride who called out a Nigerian designer, Maryam Elisha of RikatoByMe, for giving out her wedding reception dress to actress Mercy Aigbe for her 40th birthday photoshoot. 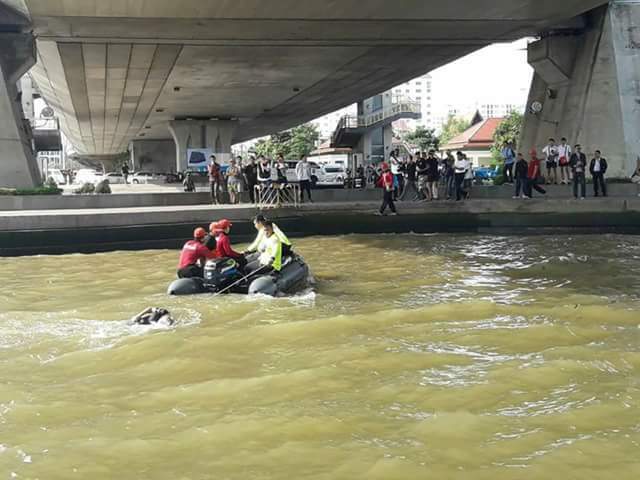 No charges had yet been filed against motorcycle taxi driver, Pataradanai Noomsrinart who filmed the girl jumping, said metropolitan Police Bureau deputy chief Pol Maj-General Sompong Chingdoung, but police were continuing to investigate him. A Facebook user – George Essien has told the story of Famous Lekki Barber who grooms the hair of various celebrities and is making a honest living from it. Veteran Musician,Eedris Abdulkareem has in a new, revealed how popular music Promoter Kenny Ogungbe stopped him from being promiscuous. THERE was drama at a popular guest house in Zvishavane when a couple reportedly bumped into each other on New Year’s Eve, each with a secret lover apparently heading for a lunch-time romp. Estranged husband of Nollywood actress Mercy Aigbe,Lanre Gentry has in a new interview with Punch said he is not in any way fighting with Mercy Aigbe. The Ondo State Police Command has arrested a middle-aged man for killing and burying his close friend identified as Moses Alugo, for allegedly sleeping with his wife, the Vanguard reports. Footballer, Asisat Oshoala shared this video of her Dad crying after she was crowned the African Female Footballer of the year for the third time by CAF. A shocking footage has emerged showing an angry wife and a group of women callously beating her husband's alleged pregnant mistress on a public street in China. In the sickening footage, the alleged pregnant mistress is seen surrounded by at least four women as they slap her in the face and strip off her clothing. At some point, one raging woman, believed to be the cheating husband's wife, brutally stamped on the mistress' stomach with her black high heels on. Video: Hilarious moment a masquerade fell into a gutter during a street parade! Lol! Aren't they supposed to have super powers? The victims are Michael Birnkrant, 51, his wife, Amy, 47 and their two children - Drew, 20, and Sean, 11. Nigerian rapper, Chibuzor Nelson Azubuike, better known as Phyno recently met his lookalike, Amaechi Perfect Gideon popularly known as M2 at an event in Owerri, Imo State and he was shocked and excited. 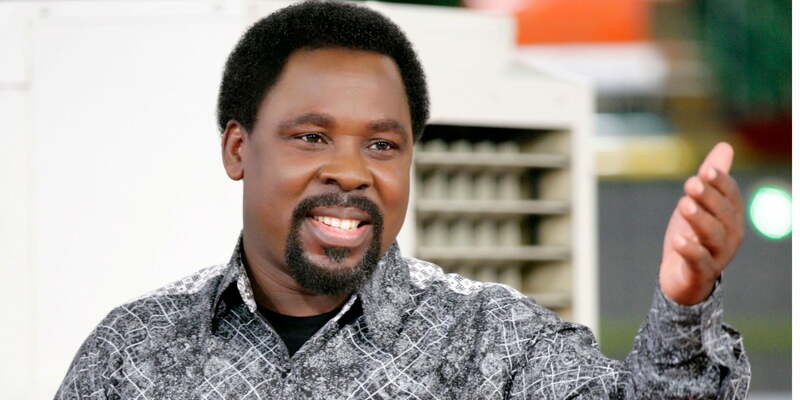 A video was shared on Emmanuel TV's Youtube page showing a strange figure crossing the road near T.B Joshua's Synagogue Church Of All Nations building. The purported video was filmed by someone inside a vehicle who was filming the entrance of the church across the road. There was shock recently outside the gates of T.B. Joshua’s Lagos-based Synagogue Church of All Nation after an image said to be an angel was sighted around the church. 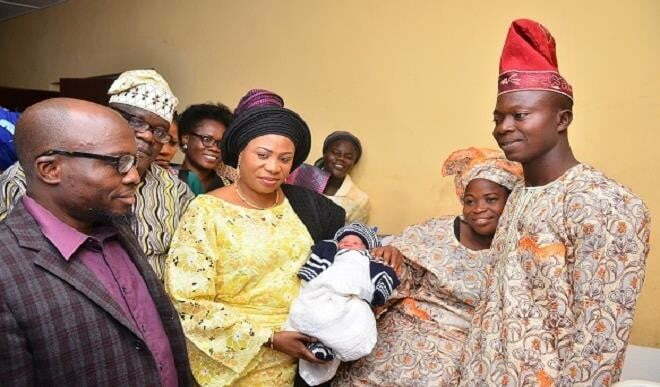 The father of the first baby of the year in Osun State, Mr Abiodun Okewunmi has reportedly died few hours after being honoured by the First Lady of the state, Mrs Sherifat Aregbesola on January 1, 2018. The wife of the deceased, Mrs Olanike Okewunmi, delivered her baby around 2:18am on Monday. 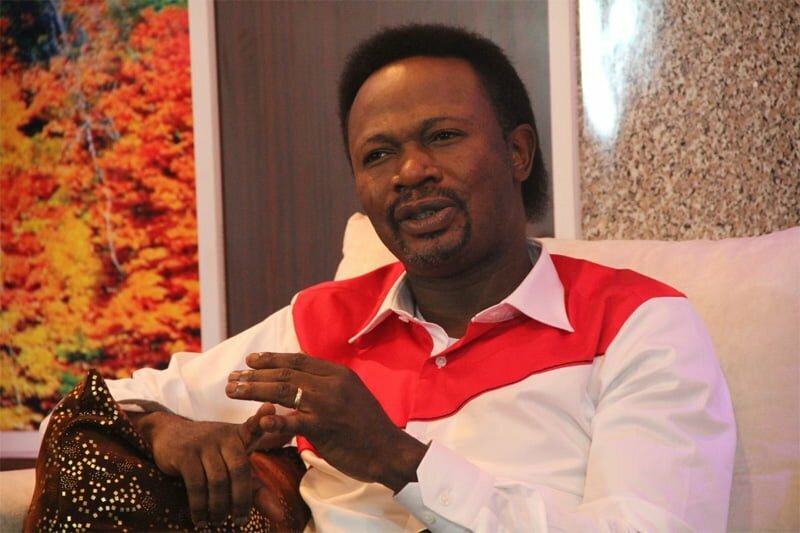 Joshua Iginla, the founder Champions Royal Assembly, has released his prophecies for 2018. 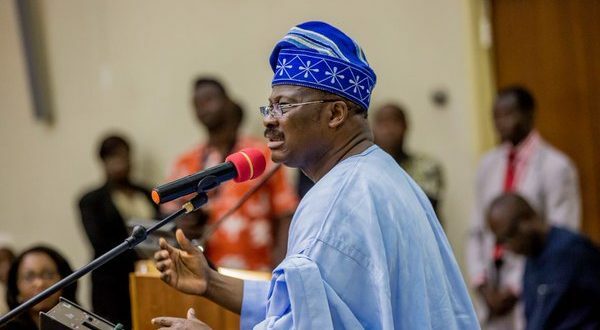 President, Central Council of Ibadan Indigenes (CCII) Chief Yemi Soladoye has declared that the lingering chieftaincy crisis will soon be settled out of court. Soladoye said that judging by the ‘cooperation and enthusiasm’ of the contenders in its reconciliation efforts, the crisis will soon be a thing of the past. Super Falcons star Asisat Oshoala has been named the 2017 African Women’s Player of the Year award. Oshoala was announced winner of the prestigious award at the CAF Awards on Thursday, January 4 in Accra, Ghana. Yonah Oyugi, the headmaster of Uradi Primary School in Kisumu West, Kenya is nursing serious injuries after angry parents attacked him over poor examination result. According to Kenyans Ke, the incident took place during a crucial closed-door meeting with parents and the school officials. 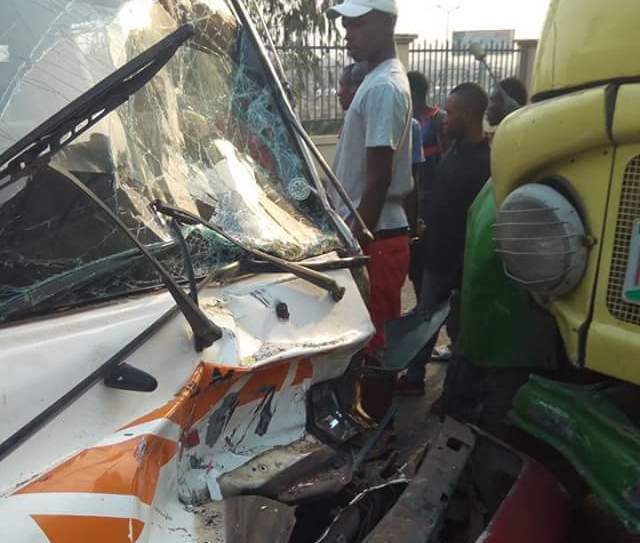 Passengers inside a commercial bus on Thursday, escaped being crushed to death when the driver rammed into a tipper truck in Anambra.